Fall has descended, and that means it’s time for another annual Best American Comics entry, a fat volume that does its damnedest to represent what was particularly good in the medium over the past 12 months. The 2014 edition includes comics published September 1, 2012 through August 31, 2013, and, for the first time in a long time, a new editor oversaw the series alongside guest editor Scott McCloud. That new editor, Bill Kartalopoulos, definitely earned the job: he teaches comics at the School for Visual Arts in New York, serves as editor/publisher of Rebus Books and programming coordinator for SPX: The Small Press Expo and is also the programming director for the MoCCA (Museum of Comic and Cartoon Art) Arts Festival. To top it off, he cut his teeth assisting Maus creator Art Spiegelman for some years. Kartalopoulos welds a hefty résumé, but his curriculum vitae boils down to one simple fact: the man eats, sleeps and breathes comics and is an apt choice to take the reins from previous editors Jessica Abel and Matt Madden. Between his daily gauntlet of editing and producting, Kartalopoulos somehow found some time in his busy schedule to answer some questions about the The Best American Comics 2014, published earlier this month. Paste: How did you approach this project differently from Anne Elizabeth Moore (who selected excerpts for 2006 and 2007) and Jessica Abel and Matt Madden (2008-2013)? What strengths do you think you have that are different from theirs, in other words? Kartalopoulos: Although we’re certainly different people with different critical points of view, in terms of overall approach there may be more similarities than differences. Anyone who’s been given the responsibility of serving as Series Editor for The Best American Comics seeks to maintain a high level of quality that reflects the current state of the comics field, and stands up to the quality of work in the other Best American titles. Any Best American Series Editor is committed to carefully and seriously considering all of the work that arrives through the open submission process. Beyond that, we all draw upon our experience, our networks and our personal critical sensibilities to make sure we’re finding material that best represents our field. We really sweat it out to make the best possible critical decisions that we can along the way. Anne, Matt, Jessica and I have all demonstrated a high level of engagement with comics in our careers, though obviously in different ways. Anne has edited The Comics Journal; she initiated the Ladydrawers series and is currently editing comics reviews for the LA Review of Books, among many other projects. Matt and Jessica are cartoonists themselves; they taught comics at the School of Visual Arts for several years and have authored textbooks. I’ve also done a lot of teaching, first at Parsons and currently at SVA. 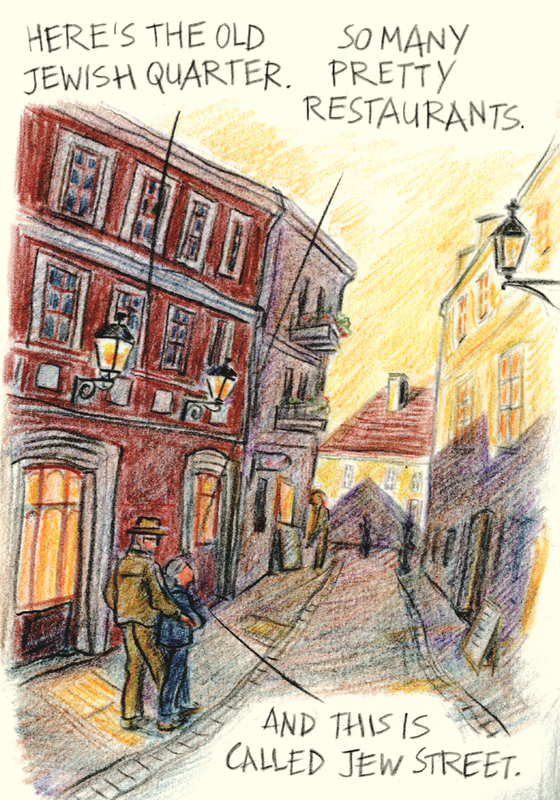 I’ve worked as Art Spiegelman’s assistant and curated comics exhibits. I’ve done a lot of work organizing comics festivals, which puts me in touch with a lot of cartoonists and publishers, both well-known and still-emerging. All of us who have worked in the Series Editor role share a commitment to great comics, and we’ve all expressed that through different kinds of engagement with the comics field. There is no doubt that I bring a different background and a distinct point of view to the material as I work with each year’s Guest Editor, and I am certain that it has an effect on the final book. But I suspect that it might be better for an outside observer or critic to look at the work that I do and try to articulate what the difference may be. Paste: Where do you see the compilation going in the future? Do you have a wish list for folks to guest edit it down the line? Kartalopoulos: In very general terms, I’m planning to maintain a high level of quality within the series and to keep pace with the wild diversity of the comics field. I’m especially committed to tracking new developments in comics (in style, form, materials, narrative, format, etc. ), particularly in work that might still be under the radar of mainstream culture. That’s where the breakthroughs in any art form usually begin. I’ve been alert to that kind of work throughout my career, and I intend to stay on top of that. But it’s hard to make specific predictions, because each year we’re looking at a totally fresh pool of work. And each year I’m working with a different Guest Editor, who brings a different point of view to the subject matter. Even now, I’m currently at the tail-end of my reading period for The Best American Comics 2015, and based on the work before me it’s quite clear that next year’s book will be different in character from the 2014 volume. But even I don’t know exactly how that difference will express itself until the Guest Editor makes his or her selections. There’s a moment in the process where I receive the Guest Editor’s final selections, and I get to be as excited and surprised as anyone opening the book for the first time. I just hear about it much earlier than readers do, and then have to do a lot of work with the dedicated professionals at Houghton Mifflin Harcourt to turn that list into the beautiful book that shows up in bookstores and libraries several months down the line. I think anyone who takes on the Series Editor job for any of these titles immediately starts dreaming of a mental wish list of potential Guest Editors. How could you not? It’s a tantalizing prospect to imagine working with people you admire on a project like this. But we do select the Guest Editors carefully to make sure we’re representing a range of viewpoints, and of course there’s the basic question of availability. Most of the people we’d think to invite are themselves very busy working artists, authors and editors. We do have some extraordinary people lined up for upcoming volumes, so I think there are some pleasant surprises in store both for me and for readers of Best American Comics. Paste: Are there any areas where you and Scott McCloud (this year’s guest editor) disagreed about whether or not something belonged in the 2014 edition? Can you talk a little about his decision to approach the book as something to be read in linear fashion, rather than browsed through? What comics did he bring to the volume that weren’t included in your initial selections? Kartalopoulos: I’m really grateful that Scott was open to a lot of discussion about the contents of the book, but at every point in our process I’ve always been respectful of the fact that the Guest Editor ultimately has the difficult responsibility of making the final choices regarding the book’s contents. I want any Guest Editor to be happy with the final book and I totally support those choices. I also want the Guest Editor to feel free to engage me in as much open and confidential discussion as they need or want to. In this case, all I can say is that Scott and I are both extremely satisfied with the final product of our process. We both agreed that it would be good for this year’s volume to provide a broad overview of the comics field in 2014. 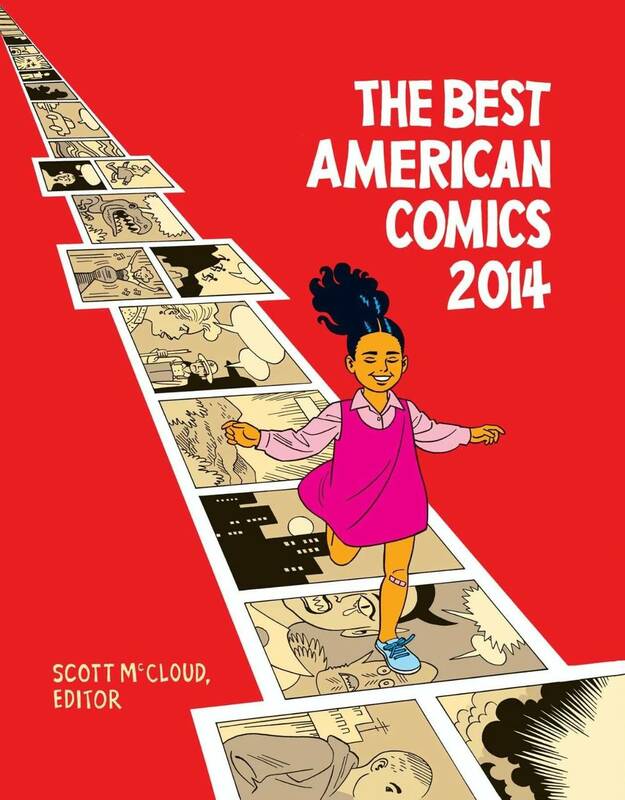 Scott’s decision to break the book up into contextualized sections was brilliant, and allows Best American Comics 2014 to function for many readers as a general anthology of contemporary comics, even beyond its status as one volume in an annual series. Each selection in the book, in addition to being an outstanding work from the past year, also serves as an exemplar of some currently vital area of the comics field. That’s a lot of heavy lifting, but Scott makes it all seem effortless. Paste: Have you thought about accepting submissions in a format more suited to the strengths of webcomics, like a section on the Houghton Mifflin Harcourt website, instead of via mail? Kartalopoulos: Although Scott presents Allie (Hyperbole and a Half) Brosh’s “Depression Part Two” as the piece in this volume that’s most representative of the specific field and culture of webcomics, I’m fairly pleased by the fact that it’s actually only one of six pieces in the book that we first found online. The pieces in the book by Sam Alden, Erin Curry, G. W. Duncanson, C.F. and Ed Piskor were all works that we initially found online. Some of those have since been republished in print, but not all of them. In either case, those boundaries remain somewhat porous. Regardless, I do take your point, and I am thinking about ways to process online work more effectively. But — not to critique, but rather to make another point — I think the vagueness of the alternative that you propose in your question indicates the difficulty in standardizing a submission format, given the huge variety of material online. There is definitely a field of self-identified “webcomics” that tends to adhere to more standardized formats and has developed a specific culture around itself, but that sphere is increasingly looking to me like a particular subset of the broader world of digital comics. I see new comics being posted all the time to Tumblr, to other social networks, to blogs and dedicated websites, all with very different methodologies regarding presentation, frequency, archiving, tagging, format, and on and on. The flip side of this format question is that, as more online comics embrace the medium-specific properties of digital media to do things that can only be done online, the harder it could become to accurately represent that work in a standard print format. Even basic features like scrolling or animated gifs are difficult or impossible to translate to print. We’re not at the point yet where this is a major issue, but I can see that coming down the road. It should come as no surprise that Scott deals with all of these topics and more in a very thorough and thoughtful essay within The Best American Comics 2014, accompanied by a page of URLs that direct readers outward to discover the variety of work online. Paste: If you had to pick your top three from this year’s selections, what would they be? Kartalopoulos: I’m glad I don’t have to pick. As far as I’m concerned every piece that’s included in the book is equally “Best” and reflects the results of a very challenging process, so to choose favorites wouldn’t be fair to anyone whose work is in the book. One piece that particularly delights me simply because it’s so distinct from anything that’s ever been in The Best American Comics is the excerpt from Erin Curry’s Ambient Air, which I mentioned before. Even though we found this online, it’s not exactly right to call it an “online comic.” This is a one-of-a-kind book object that Erin produced at a workshop at SAW (Sequential Artists Workshop) in Gainesville, Florida. For lack of a better term, it’s an abstract comic produced on semi-transparent mylar, so the images on each page are hazily visible through the preceding layers before you arrive at them. And because of the transparency of the material, each page turn transforms the composition of the page. Erin scanned the book in its entirety and posted it to her blog where we found it, but both the online version and the print excerpt in Best American Comics 2014 can only really simulate the experience of looking at the book. I was fortunate enough to see the actual object recently when Erin showed it to me at SPX in Bethesda, Maryland, and witnessing the thing in its three-dimensional glory felt like a fresh experience, despite the fact that I’d looked at it countless times online. As comics continue to engage with the world of contemporary art, this piece suggests the thrilling and fascinating possibility of “gallery comics” that might truly need to be seen in person to fully appreciate their aesthetic qualities. Paste: Do you ever get tired of reading comics? Kartalopoulos: Never. Though I do occasionally get tired from reading comics. Excerpt from “The Understanding Monster—Book One” (excerpt) by Theo Ellsworth from BEST AMERICAN COMICS 2014 edited by Bill Kartalopoulos. 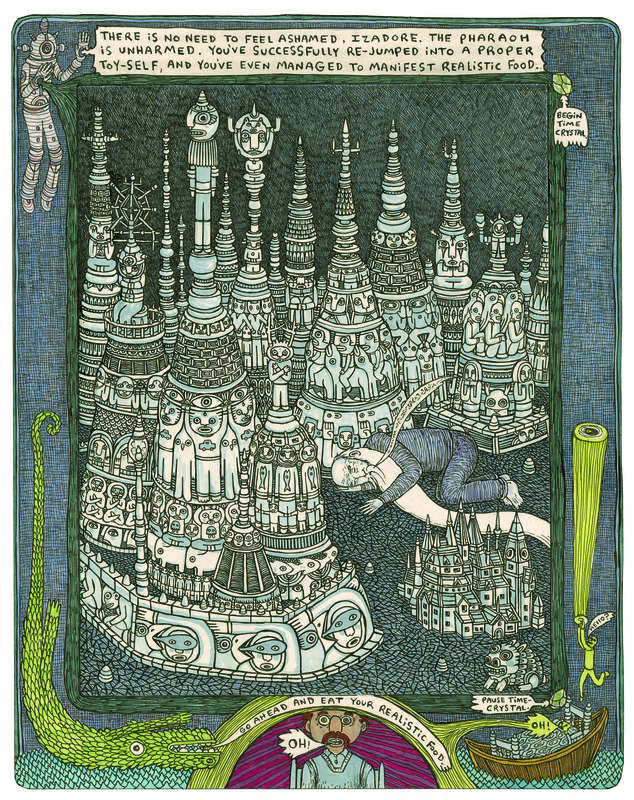 Originally appeared in The Understanding Monster—Book One. Copyright © 2012. Used by permission of Houghton Mifflin Harcourt Publishing Company. All rights reserved. “Letting It Go” (excerpt) by Miriam Katin from BEST AMERICAN COMICS 2014 edited by Bill Kartalopoulos. Originally appeared in Letting It Go (Drawn & Quarterly). Copyright © 2013. Used by permission of Houghton Mifflin Harcourt Publishing Company. All rights reserved. 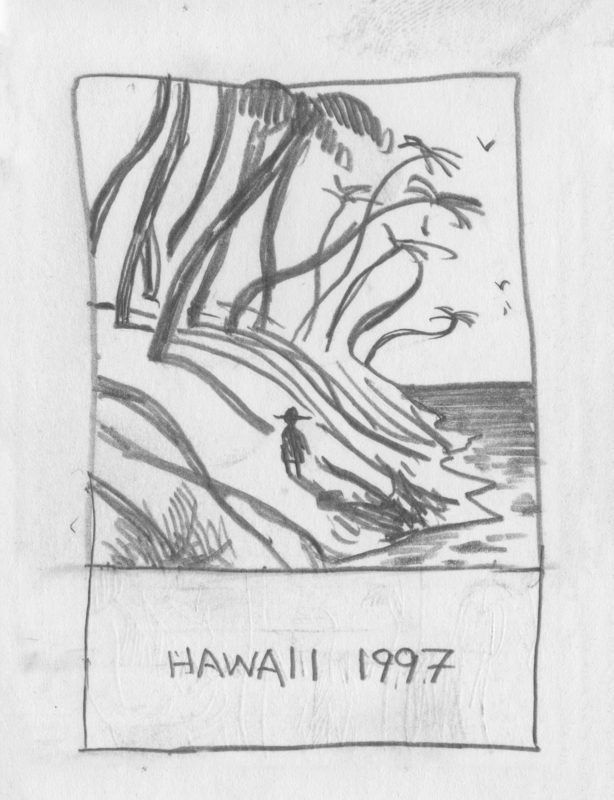 “Hawaii 1997” by Sam Alden from BEST AMERICAN COMICS 2014 edited by Bill Kartalopoulos. Originally appeared in It Never Happened Again. Copyright © 2014. Used by permission of Houghton Mifflin Harcourt Publishing Company. All rights reserved.